Aiming to produce more electronics with the “Made in USA” label, Foxconn Technology Group said Saturday it was considering setting up a factory in Arizona to possibly build TVs, display panels and product casings. The company’s CEO Terry Gou announced his interest in building the facilities when the state’s governor Janice Brewer visited him in Taiwan. Both Foxconn and Arizona have been in talks about an investment for about the last two years, the company said in an email. The Taiwanese manufacturer is best known for building Apple’s iPad and iPhone, but it also assembles products for other U.S. leading tech firms including Hewlett-Packard, Microsoft, and Dell. Many of those factories are in China, where Foxconn employs over 1 million people, paying them wages of about $300 to $500 per month . Establishing facilities in Arizona, however, could help Foxconn better tap into the demand for U.S.-made electronics. On Saturday, Gou referred to U.S. President Barack Obama’s push to create more manufacturing jobs in the country as a reason to expand in the U.S.
Arizona is conveniently located on the national border near its existing operations in Mexico, Foxconn said in its email. By locating in Arizona, the company also hopes to benefit from state loans and access to other local tech hubs in the state. Foxconn plans to expand in the U.S. with headquarters in the east and west coast of the country. The company already has facilities in the U.S., but it’s unclear what they are used for. 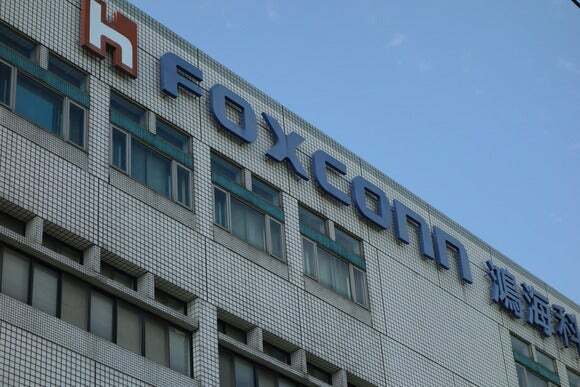 Without naming specific companies, Foxconn’s CEO said some well-known electronic vendors are also setting up manufacturing facilities in the state. Last week, the manufacturing giant’s largest customer Apple said it was building a new components factory in Mesa, Arizona that will create over 2,000 jobs. Tech vendors are starting to build more products in the U.S. as the outsourcing of manufacturing jobs from the U.S. has long been a political issue. Last year, Apple CEO Tim Cook said the company would start manufacturing one of its Mac lines in the country. Motorola has followed the trend. Earlier this year, the handset maker released an advertisement touting that its Moto X was the first smartphone to be assembled in the U.S.